1. The Vampire Diaries is based on a series of books written by which author? 2. The series is primarily set in which US state? 3. Which one of these people is not a vampire? 4. On what day does the show air? 5. What happens if a werewolf bites a vampire ? 6. What are the oldest vampires called? 7. Which one of the following is not the first name of a Vampire Diaries cast member? 8. During which season does Elena become a vampire ? 9. What are Elena's friends names? 10. What sport do Matt and Tyler play ? 11. Who are the Originals? 12. 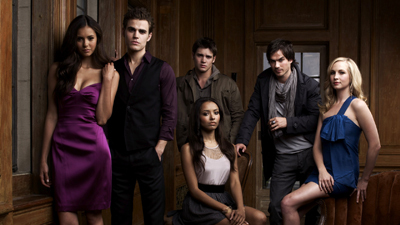 Which network airs The Vampire Diaries? 13. How are Isobel and John related to Elena? 15. Who does Elena want to kill when she is going to graduate high school? 16. To which of the following does Alaric almost become a father and husband? 18. Which of the following is not the name of a doppelganger? 19. Which season ends with a finale called The Departed? 20. And finally, can you identify which of the following is *not* the name of a Vampire Diaries episode?